2019 is a big year for me, with several major anniversaries coming up. I have now lived in the Scottish Highlands for more than half of my life, almost all my adult life, it will be 30 years this August since my husband and I came to live here. 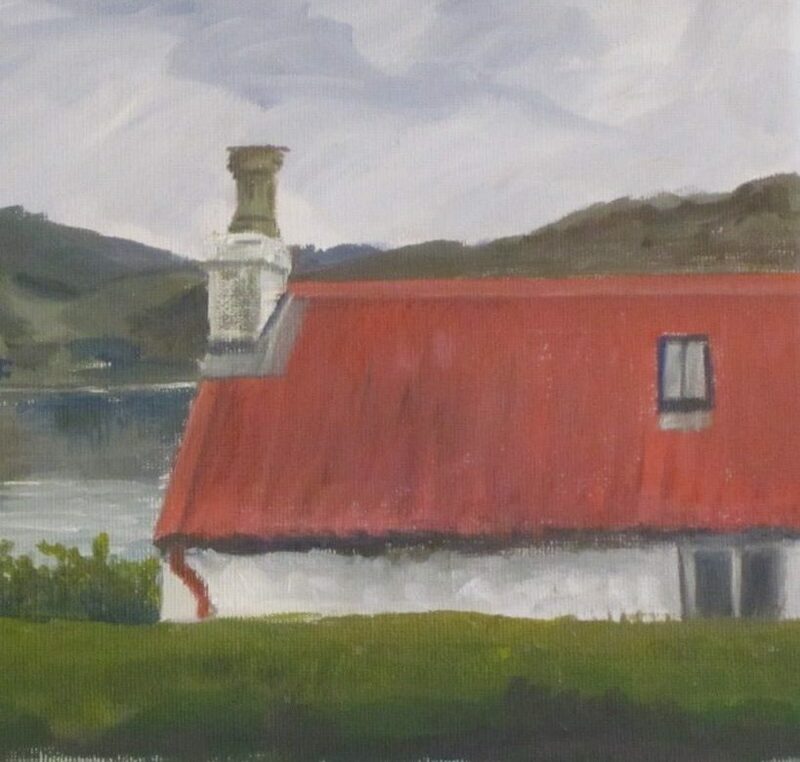 We stayed on the East coast for 9 years, for ten months in Shetland and then in 1999 we moved to Lochcarron, we’ll have been here twenty years on the 1st of March this year. Scotland has shaped my adult life. It is here that I have loved and worked and raised my children. Scotland is part of me and I hope it will always be my home. Perhaps this is because I moved around a lot when I was a child, never staying anywhere for longer than a year or two. I have no friends from my childhood, no real connections from the time when I was young. But in Scotland I have friends who I met in my first few months in the Highlands, people who helped me when I was a young mum with no family nearby, places where I always felt welcome and still do after all these years. It is here that I have put down roots, here that I have connections, so these anniversaries feel very special and I decided that I wanted to mark them, celebrate them in some special way. The project started on the 20th of January, but I haven’t really posted about it before as I had also signed up to the 30daysketchbookchallenge2019 and I didn’t want to confuse everyone (and myself) with all the different days! However, I have been working on it. I have sketched and thought and read and researched. I have borrowed a pile of books from the local library and bought several more. I will be posting about it as frequently as I can manage, sharing some History, stories, sketches and paintings. I’m not sure what will come out of this, but I think I’m going to enjoy the journey and I hope you’ll join me for at least some of it. Some of the books, sketches and paintings that I am using for my project. Cindi, I am an artist/ecologist from Marquette MI and have also embarked on the 100 day project. A few years ago my husband & I brought our family to Scotland for a Mountain Bike trip and to experience the country of my husband’s origin. The raw beauty of the countryside reminded me my area…also the nature of it’s people. I too was struck by the landscape of Scotland and the questions raised in my mind as I biked…through the rain:)). Each vista and ruin spoke of someone’s joy and dreams broken or fulfilled. I am excited to see where your 100 day journey takes you. Someday we might make a return visit to Scotland and perhaps you will be inspired to someday visit my “neck-of-the-woods”! Hi Laura, it’s great to meet you. So glad you have good memories of Scotland. Where did you visit? I’m sure you husband’s story will be fascinating. There are far more people of Scots descent living overseas than live in Scotland, many of whom were cleared from the land – hence the empty villages and the diaspora. What’s your project? I would love to see what you’re doing too.